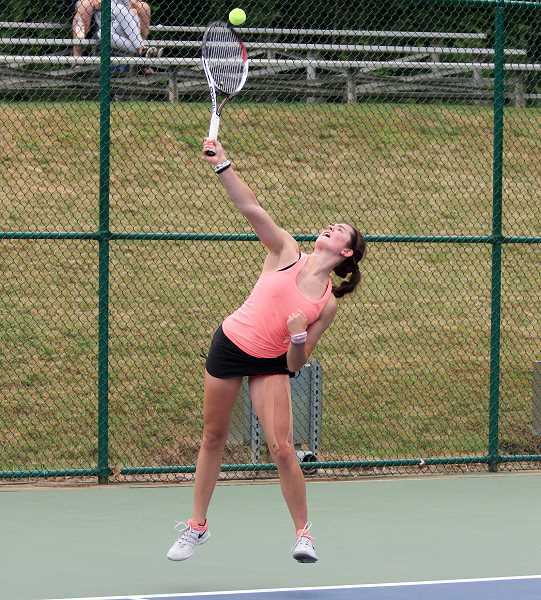 Senior Sydney Lowry got herself a place in the top three at the state tennis tournament. 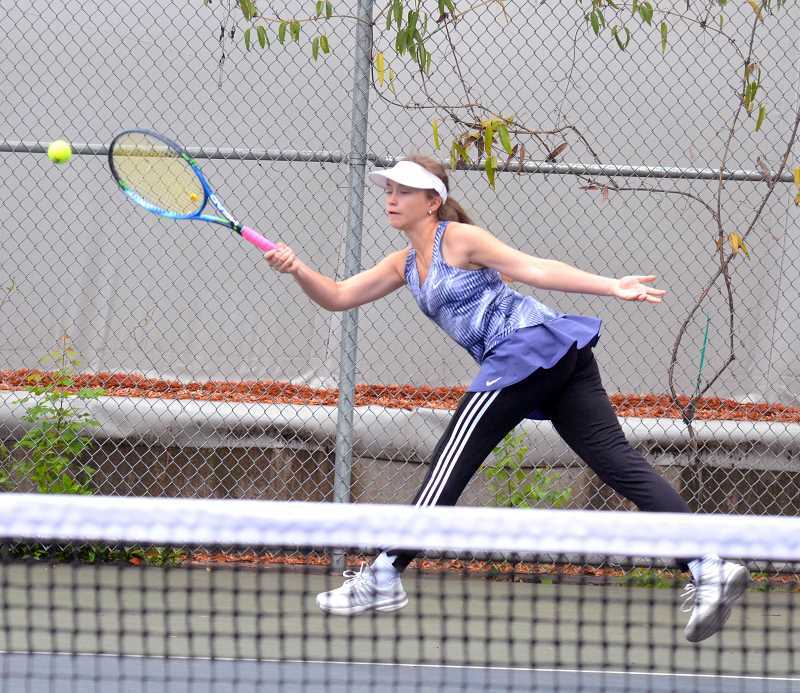 It wasn't easy, but she ended her tennis season, and high school career, with a win. In the opening round, Lowry defeated Alyssa Retiz in two sets, winning the first six games to three (6-3) and the second set six games to one. In the second round, the third seeded Lowry took on senior Katherine Dong of Corvallis. Again she got the win two sets, this time in even more dominant fashion, 6-0 and 6-1. 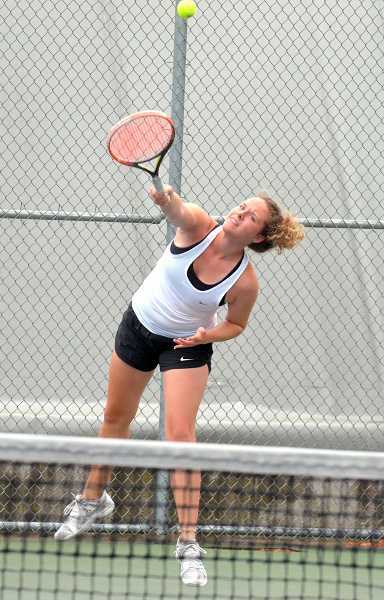 In the semifinals, she would lose to eventual state champion Anna Kern, a junior from Corvallis. "Yeah, I'm pretty happy with it," Lowry said. "I got third last year, too, so I was hoping to do better this year, but Anna (Kern of Corvallis, who beat Lowry in the semis and won the 5A title) is an amazing player, so overall, I'm pretty happy with it." In the third place matchup she shut out Journey Lipscomb of Corvallis. Lowry secured the bronze. "I saw her play yesterday and I know she gets a lot of balls back so I just tried to be patient, and when I had chances, to finish points when I could," Lowry said of Lipscomb. Lowry will play at Westmont College in Santa Barbara next year. 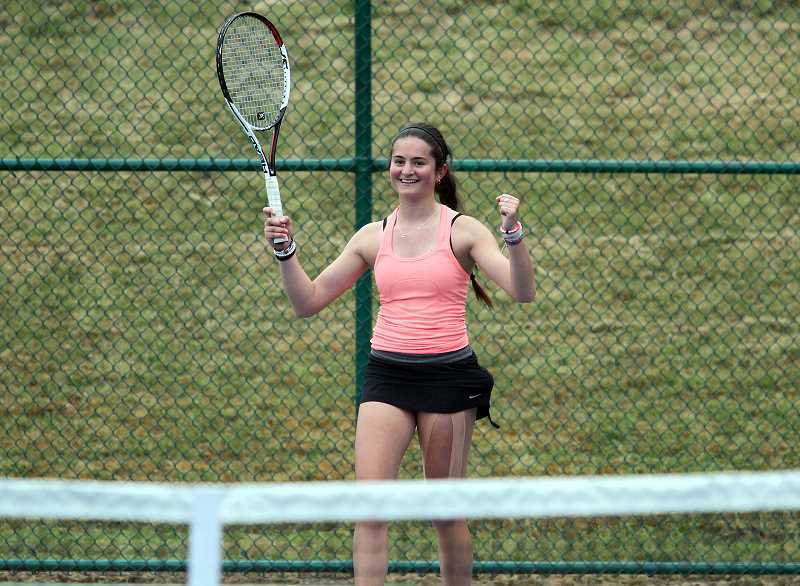 Junior Elle Berry, who replaced Samantha Monello in the tournament, did not fare as well as her counterpart. Berry lost in the opening round to the second seeded Tessa Kern, a Corvallis senior. In the consolation round, Berry lost to Sandy senior Maggie Fox in the opening match. In the opening round of the doubles tournament, seniors Kara and Camille Rule fell to McKenna Priske and Ashley Alldridge of Marist Catholic in split sets, winning on 6-4, but then dropping the other two 6-4 and 7-6. In the consolation bracket, the Rules broke Megan Alldredge and Marie Carr of Ridgeview before falling to Remy Noble and Priscilla Virasak of Crescent Valley. Freshman Clarissa and sophomore Madeleine Klein won their opening match of the state tournament against Trinity Barudoni and Isabel Haycraft of Bend, winning 6-4 and 7-5. 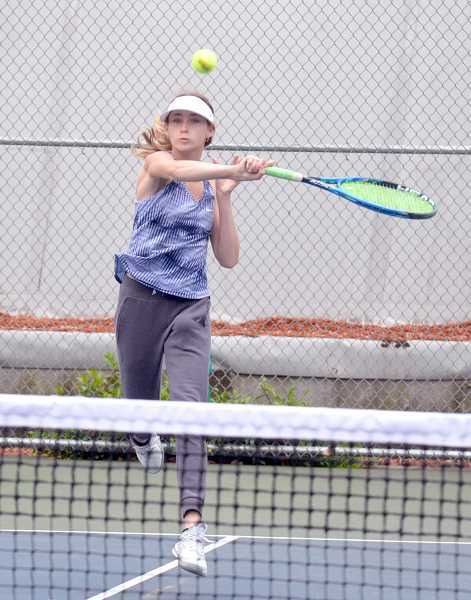 The young duo was shut down in the quarter finals, however, falling to the fourth seeded pairing of senior Amanda Hines and junior Catherine Rutherford of Summit. Miles Vance contributed to this story.